GWS-Host.com offers a range of powerful Core Managed Bare-Metal Servers that provide the best possible hosting needs for professionals with sufficient knowledge of Apache, PHP, Networking etc to manage their own server on a daily basis. While you cater for your daily operations we have your back and provide core asststance when needed. Any core managed server can be upgraded to fully managed G-Force Managed Sevices on request at any time *1. Specialized Linux 3rd Level Support beyond Core can be requested and will be charged at an hour rate of US$ 125. GWS-Host.com uses top-tier, ISO certified data centers at strategic locations across the globe to ensure prime access to the major business areas in the U.S. The Phoenix Datacenter is designed to the highest specifications for performance, reliability and security. 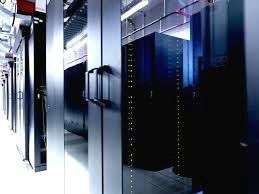 Our state-of-the-art data centers use the latest technology to guarantee powerful performance and availability. They’re reliable too. Built in multiple levels of redundancy to ensure consistently high performance, including redundant components and multiple active paths for cooling and power distribution. If The data center suffers power loss, emergency backup generators are ready to kick in to maintain continuity of service. And, of course, they are secure. When it comes to sensitive business data, we can’t afford to take any chances. Fully compliant with the latest security policies and audit guidelines, we take a meticulous approach ensuring that your private data stays private, and is protected at all times. Note: we can tailor any Fully Managed G-Force server for your needs including clustering. Contact us to get in touch and get your specific requirements offered! Please Click here to connect with sales to check which of the options are in Stock at our data center?